Today, there's no reason you should have to "hold your nose" and invest in something that's not representative of your values. 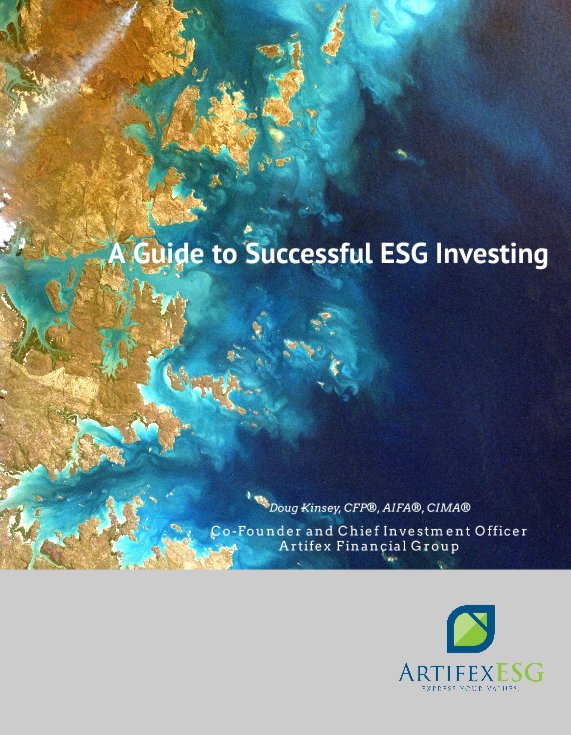 Although not for everyone, Environmental, Social and Governance (ESG) investing can be a rewarding way to ensure that your money is consistent with what you stand for. Whether it's avoiding certain practices, or encouraging others, our expertise and experience in these strategies will help you to feel good about your portfolio. 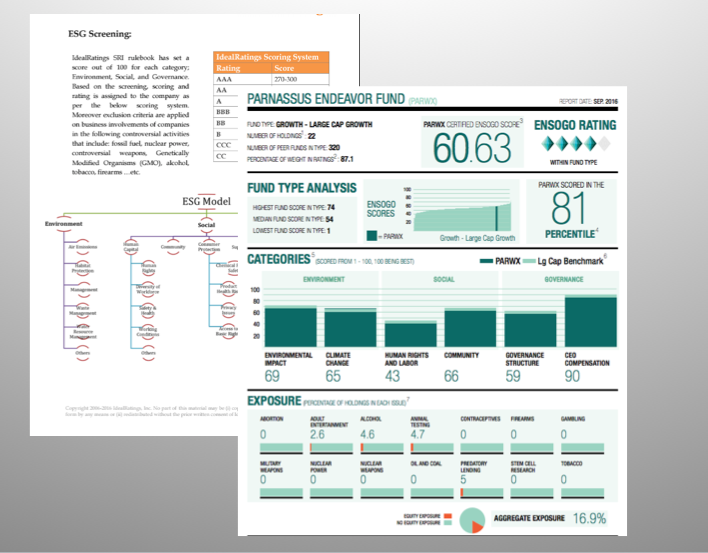 Additionally, certain ESG factors can indicate companies that are "best-in-class" overall, and that may perform financially better than their peers over time. It's maddeningly simple, yet complicated. Your current portfolio is most likely imprisoned by the stodgy practices of mutual funds, banks, and investment firms. Even your 401(k) doesn't represent your values. Although SRI/ESG/Impact investing is growing, investment options are still not widely available, and many of the packaged options that exist today are SRI in name only. Most investors don't know where to begin. There are simply too many variables to consider...and it's difficult to get good, objective information on investment choices, whether it's individual stocks, mutual funds, or ETF's. Your personal screening criteria will have a big impact on your universe of choices. You need a road map to formalize your personal preferences and to include them into your overall financial plan and investment strategy. It's not a simple task, but one that is managable and we can help. 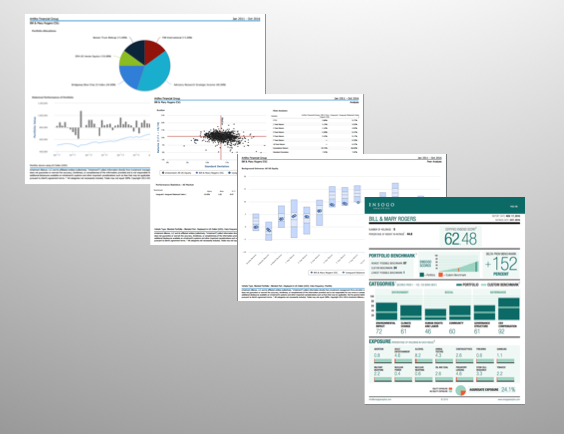 An easy-to-use dashboard for you to stay on top of everything. Here are a few comments from our clients (well, this is where we would add some client comments, but the SEC forbids investment advisors from utilizing "client testimonials"...so you just have to use your imagination. And yes, we do have many satisfied clients, just ask us). Prefer to talk personally? Schedule a complimentary discussion to discuss your plan. 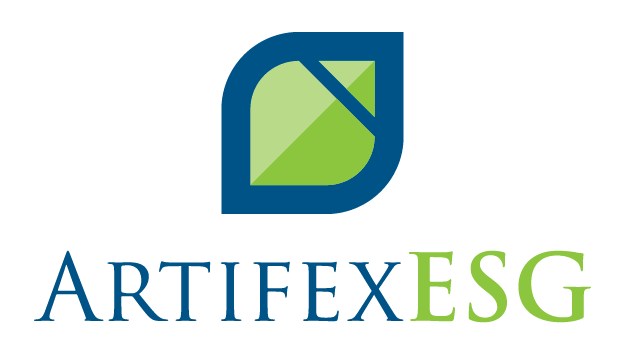 Artifex Financial Group was founded in 2007 as an independent, fee-only wealth advisory firm. Since then, we have grown to one of the largest Registered Investment Advisors in Ohio. We serve the investment and financial planning needs of individuals, Retirement Plans, and Foundations all over the United States. Subscribe to our blog, The Artifex Navigator, and receive our regular content.